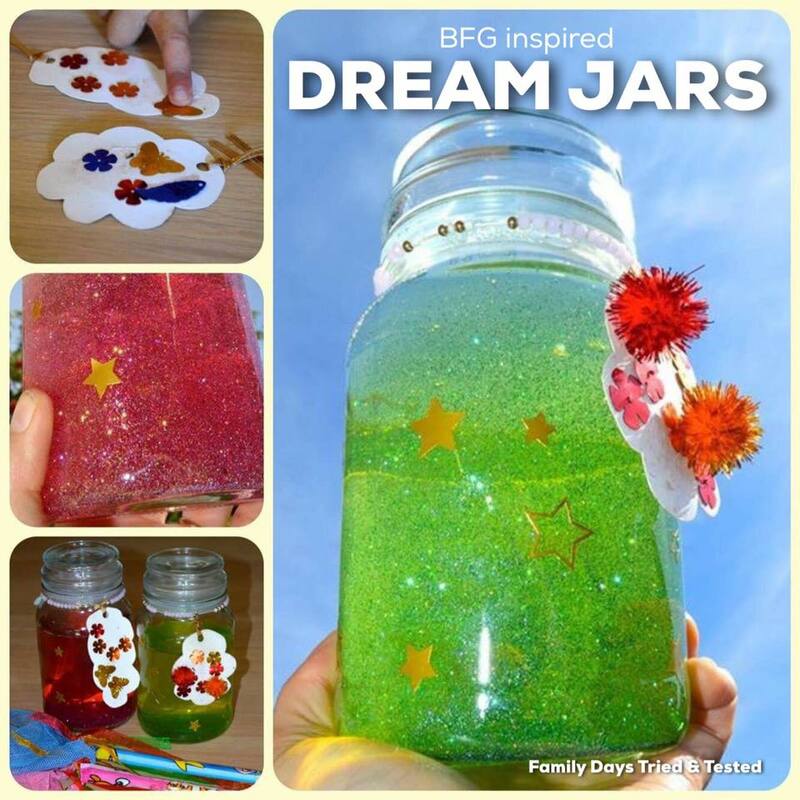 We made dream jars by filling jars with water, a drop of food colouring and some glitter. 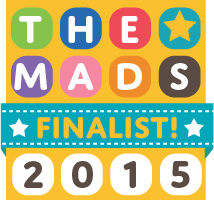 We finished by making some pretty labels. You might also enjoy making a simple fairy jar. 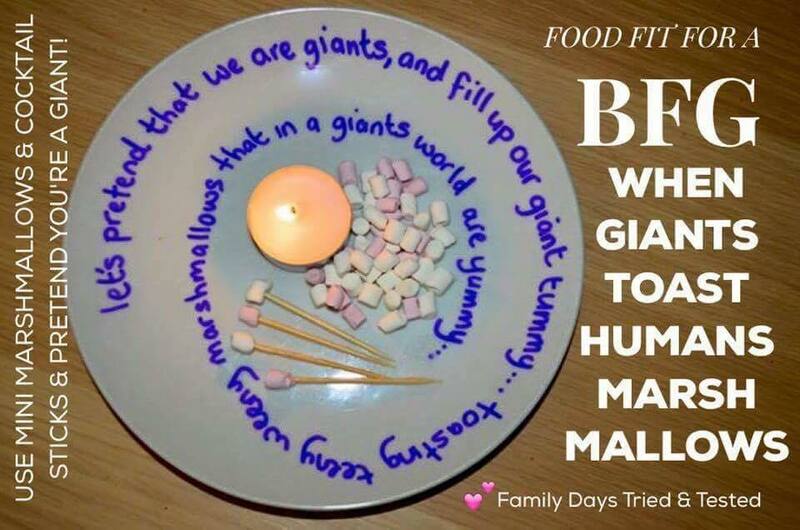 We pretended we were giants eating human food by toasting cake decorating marshmallows. Tealight marshmallow toasting is great fun! 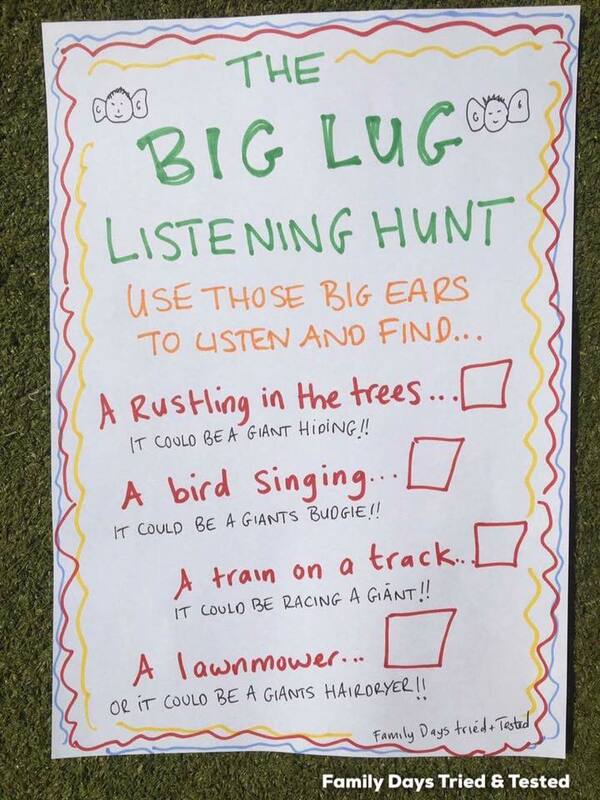 We went on a listening hunt! 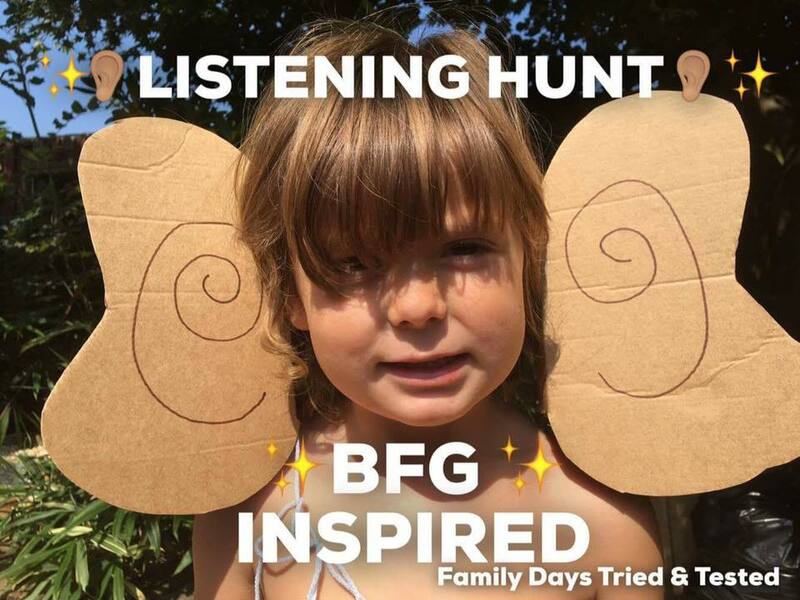 Wearing our BFG lug ‘oles to help us listen. 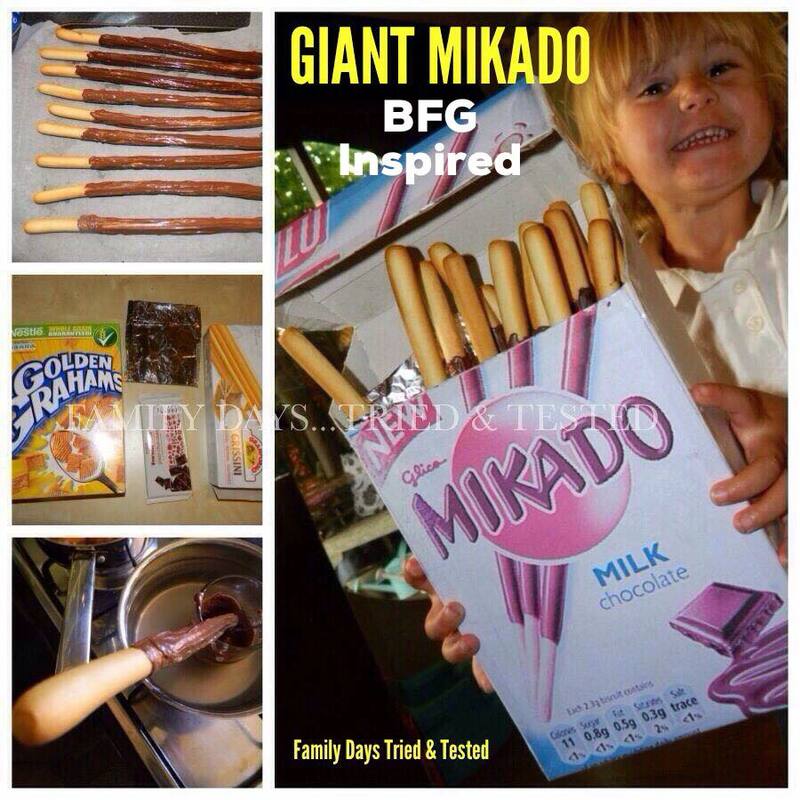 How about using chocolate and breadsticks to make some yummy treats fit for a giant? 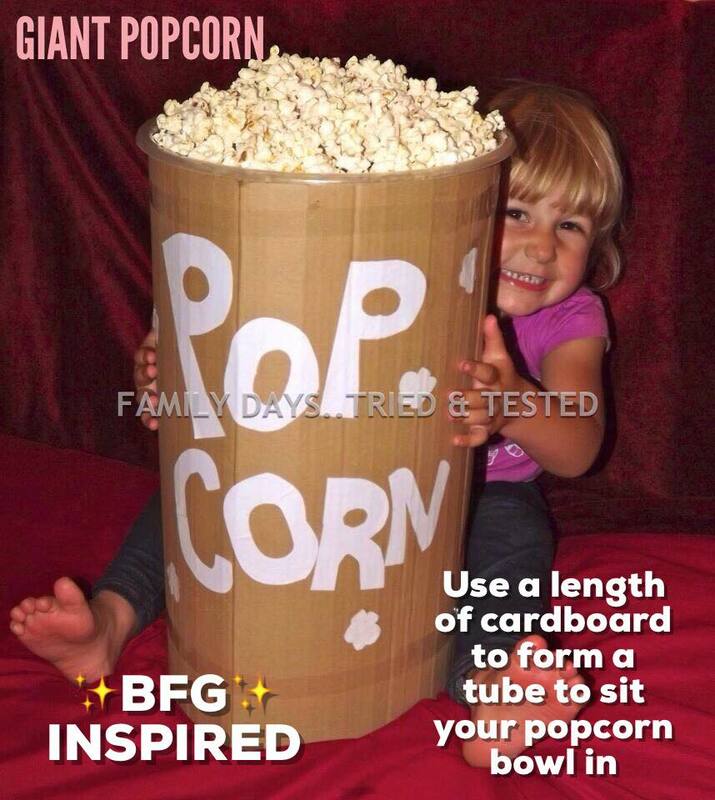 We love super-sized food fun. 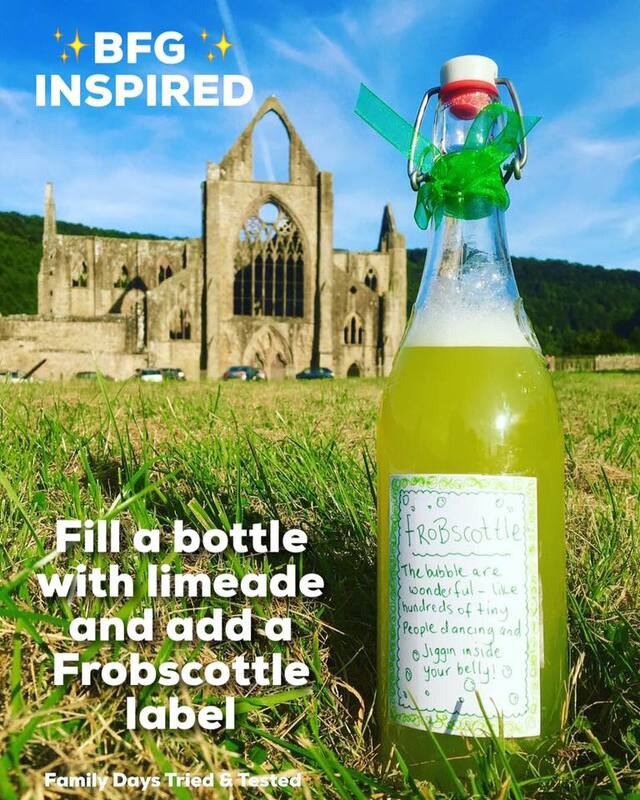 We filled a bottle with limeade and drank it whilst out for a walk catching dreams. We took our dream catchers out with us. 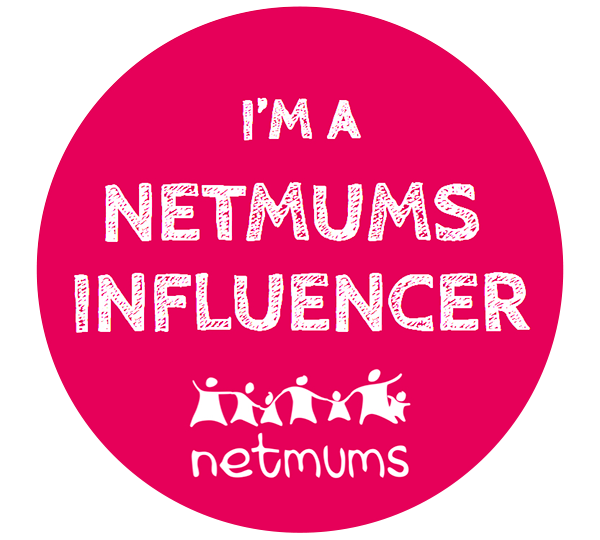 Simple nets which we had decorated. 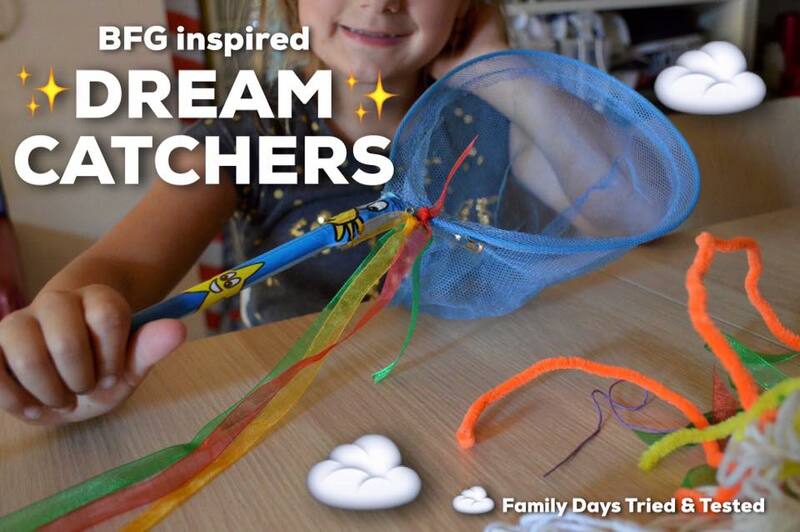 We caught loads of dreams! 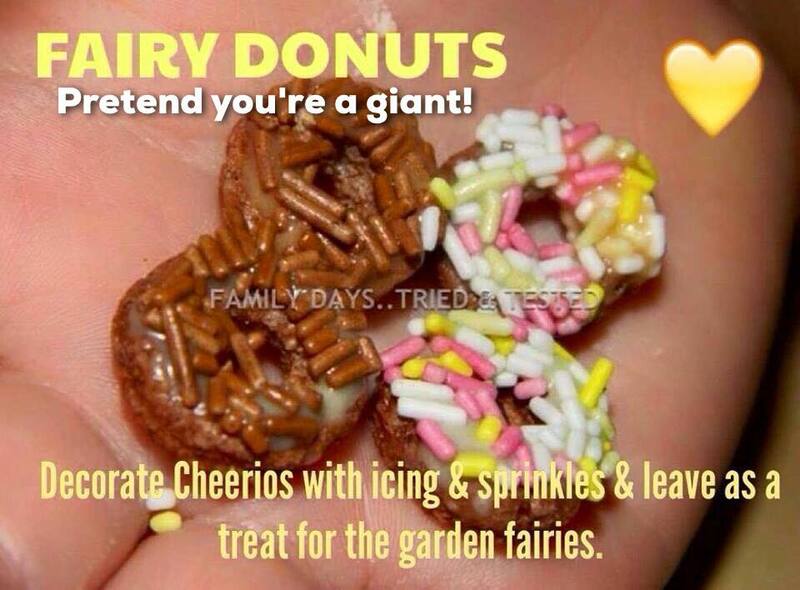 You could make some fairy donuts with Cheerios. 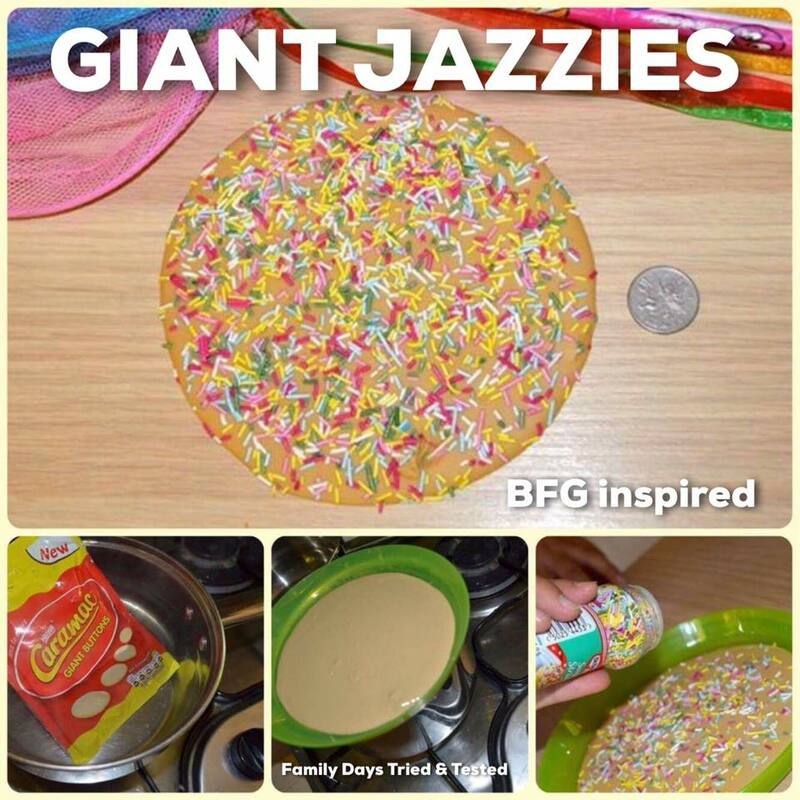 Mix an icing sugar and water paste then top with sprinkles. We love a Deceptively Fun Dinner! 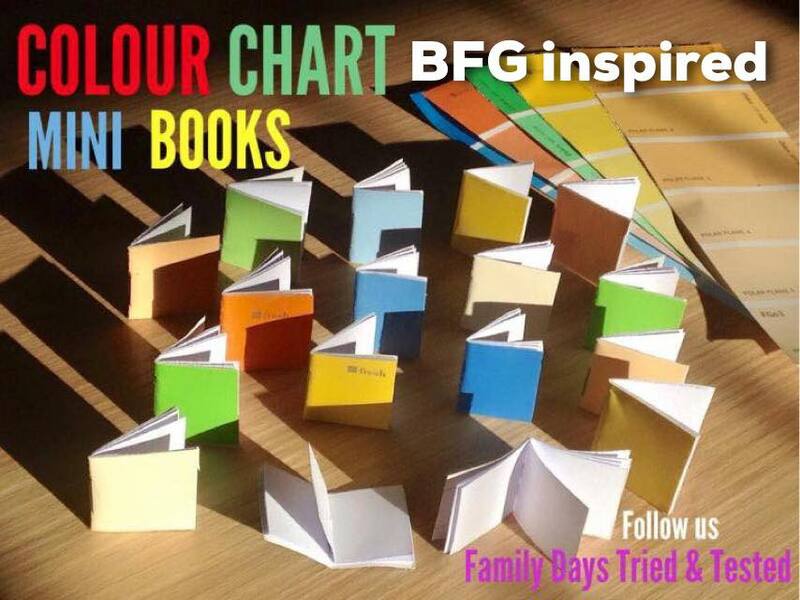 We made some teeny books so we could pretend we were giants. Check out our GIANT jazzie!! 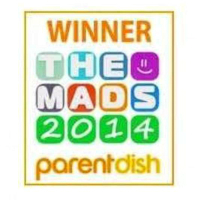 We melted chocolate by placing the bag in hot water before pouring onto a plastic plate. Then we covered in sprinkles and put in the fridge to set. We’ve got lots more fun with food ideas too. 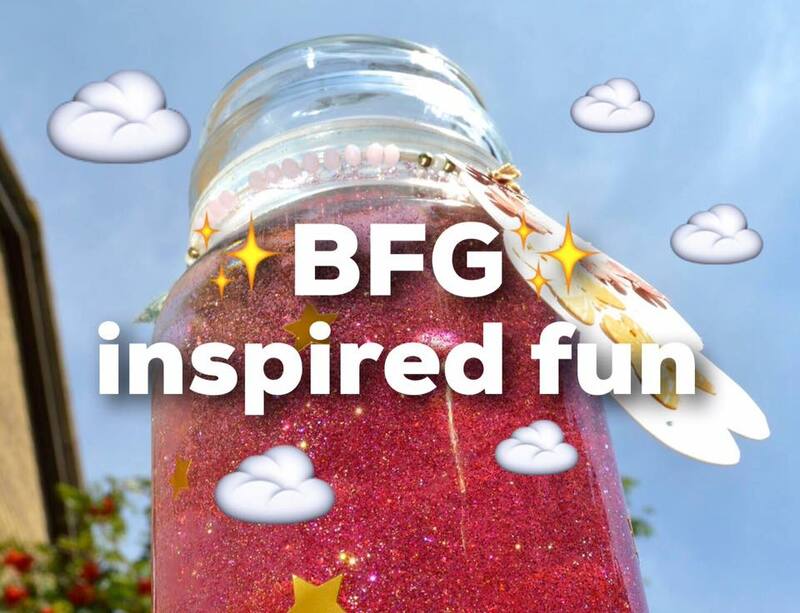 And how about finishing your BFG themed day by watching the movie with a GIANT sized bucket of popcorn?